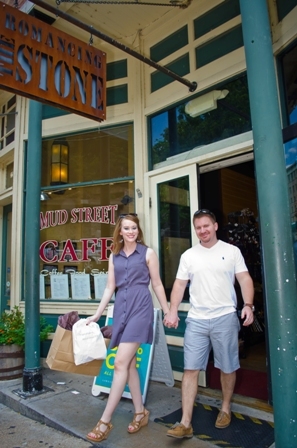 The focal point for shopping is the picturesque downtown district. All of Eureka Springs has been designated as a community of national significance on the National Register of Historic Places. The shops in Eureka Springs come in every description. Clothing, brass, glass, fine art galleries, fold art, dolls, miniatures, woodcrafts, customer leather good, jewelry, souvenirs and much more. Click the links below to see a more detailed list of our local shops.